It has been just over two weeks since I last wrote a blog. In the meantime I have almost managed to forget that I had a holiday! Since I got home I have worked continuously with the organisation of the SBA Exhibition at Palmengarten Botanical Gardens in Frankfurt. But now I have a slight breather. Actually the breather is necessary as tomorrow I will be running another workshop. It is called ‘Fruit and Veg; Strawberries and cream’. I think I should have stuck to the Veg, or just beans and courgettes. This is from my garden at the moment. No fruit and definitely no strawberries! Next weekend 9 & 10 August and 16 & 17 August, I will have my Summer Open Studio Event. For details have a look at my website: http://www.gaynorsflora.com. But for the last few days I have actually been painting again. 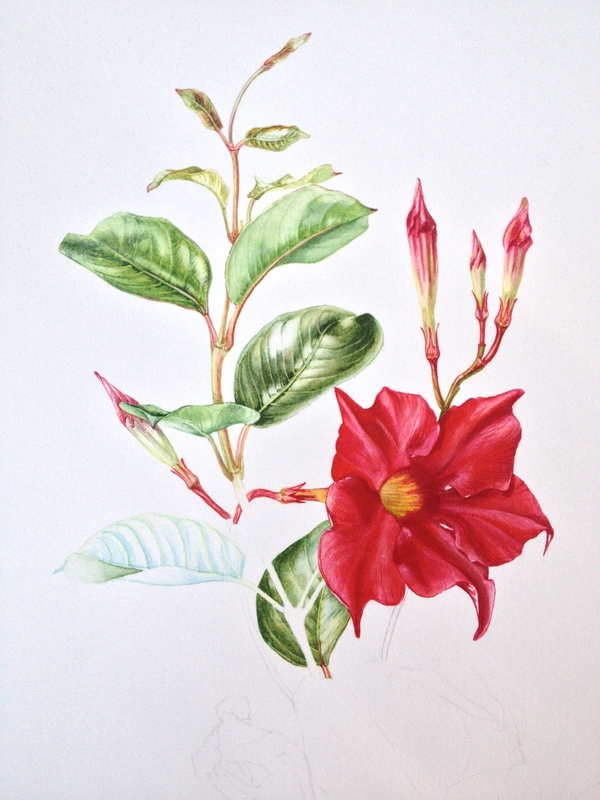 I needed a new picture to exhibit at Palmengarten and had drawn a layout for the Mandeville (or Dipladenia)plant. The following two pictures are just a portion of the picture. I have to get going to get it finished in time, but I thought you might like to see how much is done so far. 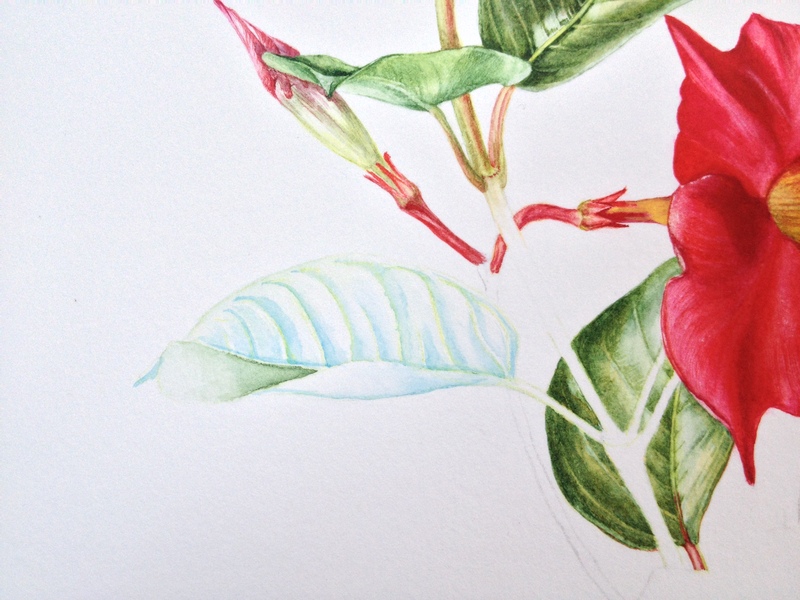 You may remember I started one flower a while ago, but somehow the paper was damaged and I had to start again. Red is not easy to paint, and the right red even more difficult. By the way, this picture is in watercolour.